Seven of Iowa’s structurally deficient bridges are located on the interstate highway system. The state identified repair needs on 15,350 bridges, the estimated cost of which would be $1.6 billion, according to the analysis. Iowa has 24,123 bridges. Pennsylvania was next on the list with 3,770 such bridges, or 16.5%, while in Oklahoma there are 2,540 deficient bridges, or 10.9%. Overall, 47,052 out of the nation’s 616,087 bridges are structurally deficient, with 38% of the total number of bridges in need of repair, replacement or significant rehabilitation. America’s bridge network is outdated, underfunded and in urgent need of modernization. “America’s bridge network is outdated, underfunded and in urgent need of modernization. State and local governments just haven’t been given the necessary resources to get the job done,” said Alison Premo Black, ARTBA’s chief economist who led the team behind the report. The new report’s overall finding of structurally deficient bridges is similar to the prior year. From a percentage standpoint, Rhode Island takes the top spot, with 23.1% of its 780 bridges, or 180, considered to be structurally deficient. Washington, D.C., had the fewest number of deficient bridges at eight. Texas had the lowest percentage of such bridges at 1.3%. In the Lone Star state, 695 of its 54,131 bridges are structurally deficient. According to ARTBA’s analysis of the U.S. Department of Transportation’s national bridge inventory, vehicles make 178 million daily trips on these bridges. Structurally deficient bridges, while safe, are structures that transportation officials say require certain maintenance. Notable bridges that are structurally deficient include the Brooklyn Bridge in New York City, the Arlington Memorial Bridge between the Lincoln Memorial and Arlington National Cemetery in Arlington, Va., and the San Mateo-Hayward Bridge in California’s San Francisco Bay. ARTBA’s leaders said the report reinforces their argument for boosting federal resources to repair the country’s infrastructure. ARTBA endorses approving a sustainable source of funding for the Highway Trust Fund. The account relies on dwindling revenue from fuel taxes that haven’t been raised since 1993. Ed Mortimer, the U.S. Chamber of Commerce’s vice president for transportation and infrastructure, is among the leading stakeholders representing the business community calling on Congress to act this year on long-term funding for infrastructure projects. The chamber has proposed a 25 cents-per-gallon federal gas tax increase implemented over five years. 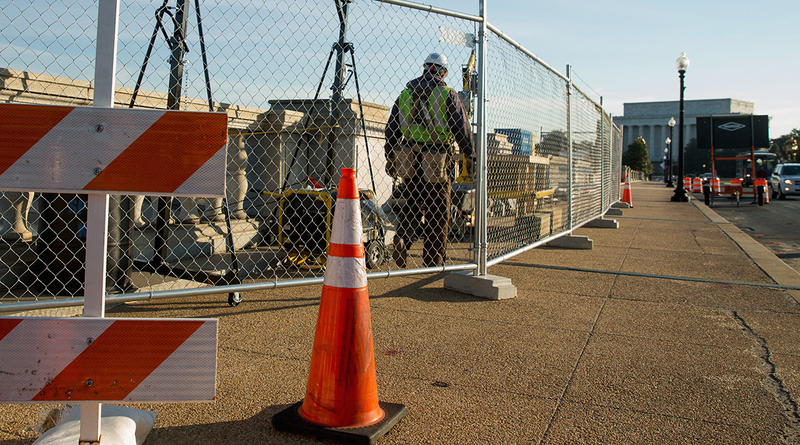 Despite pledging to act on infrastructure policy in the 116th Congress, Capitol Hill’s transportation leaders have not introduced legislation that would address wide-ranging repairs to structurally deficient bridges. House Democratic leaders have signaled the possibility of unveiling such legislation in May.